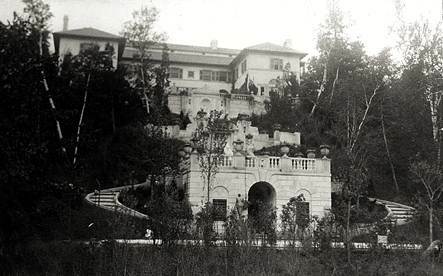 In 1907 Harold McCormick bought a 260 acre site, including a 70-foot bluff on Lake Michigan in Lake Forest, IL. 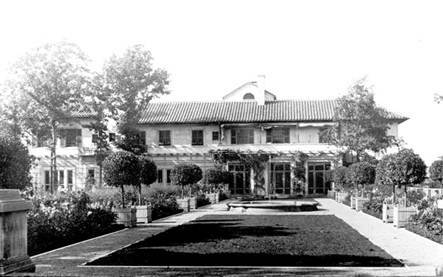 McCormick hired an architect named Frank Lloyd Wright (b. 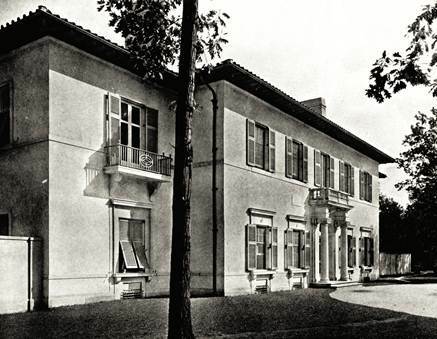 1867) to make a design, which was done. 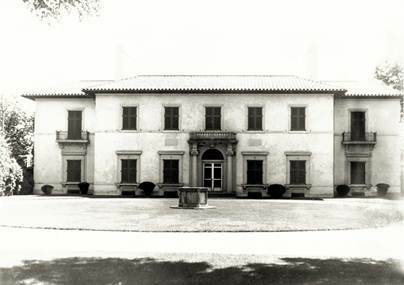 However, Wright was dismissed when McCormick’s wife, Edith Rockefeller McCormick (the daughter of John D.) decided to move in a different direction and create an Italian style villa, the supreme style of the higher echelons of society. 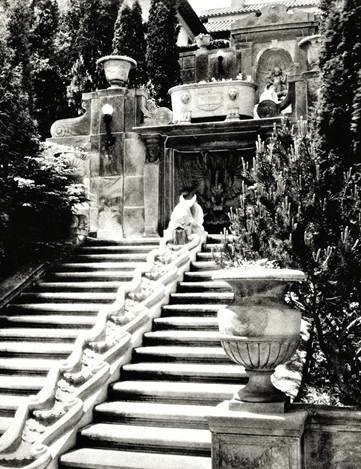 Perhaps she had been influenced by Edith Wharton’s 1905 non-fiction book, Italian Villas and Their Gardens. 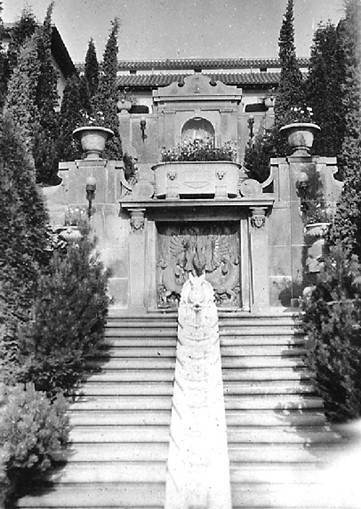 Charles Platt (1861-1933), an architect and landscape architect from New Hampshire who had had his sketches of Italian Renaissance gardens popularized in a 1893 Harper’s Magazine and via his own 1894 book, Italian Gardens, was hired to execute plans for the house and landscape. Harold McCormick wrote to Charles Platt: “Mrs. McC inclines to being partial to Italian style. Very glad you’re coming.” (1908). 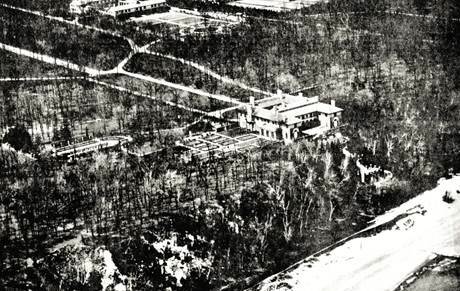 Platt’s design resulted in Villa Turicum (built 1908-1918), an Italianate mansion with a huge greensward entrance mall on the west and an intricate water chain pouring down to the lake on the same axis to the east. 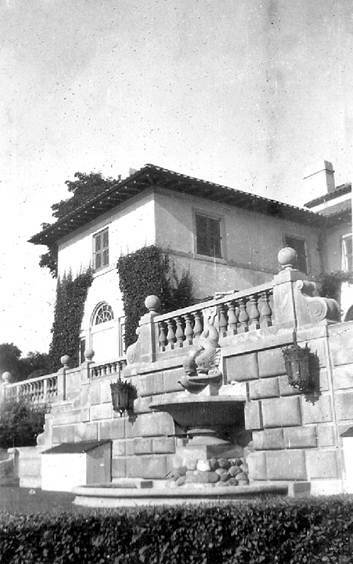 Curving steps, terraces, the water chain, and stone dolphins were all built into the bluff, and the Italian influence even dated to the Roman Age: included in the landscape was a Pompeian-red atrium with fountain. 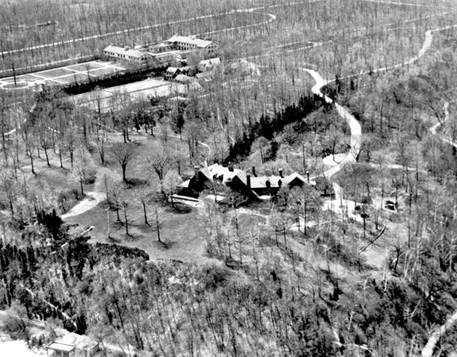 Not far away Harold’s brother, Cyrus, was creating a very naturalistic, idealistic estate: ‘Walden’ (named for Thoreau’s book), so two large themes in American landscape architecture of the time were contrasted in these neighboring estates. Edith and Harold divorced, and Edith spent most of her time living in Chicago, where she entertained lavishly and supported the Chicago Opera, James Joyce, and other causes. 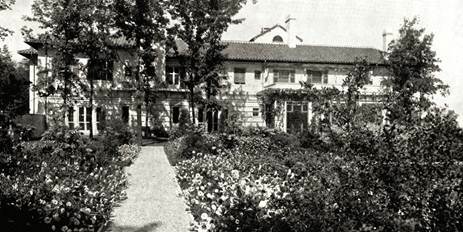 Villa Turicum, however, was always fully staffed. 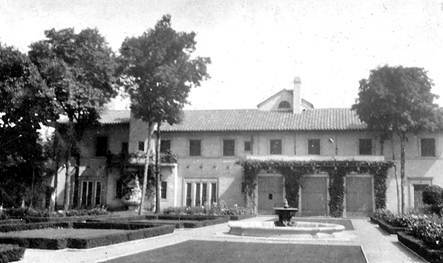 In 1932, bankrupted by the stock market crash, Edith R. McCormick died $2 million in debt. 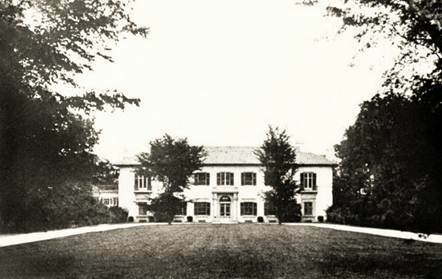 The house was long abandoned and demolished in 1965, and the property was extensively sub-divided. 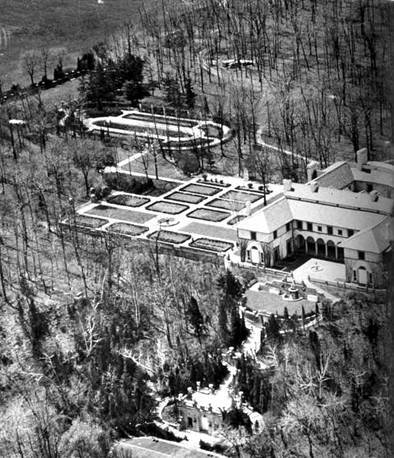 But the water chain leading to the lake, has, in the past three years, been marvelously restored by its current owners, mostly from original stone found scattered on the bluff. 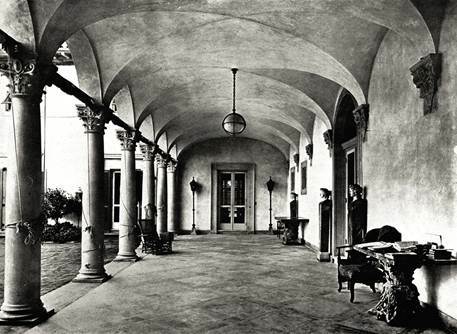 The twin walkways on either side now lead again to the lake’s edge, where a long tunnel (now sealed) once led to an elevator that carried guests back up to the house from the beach, where a swimming pool was located. 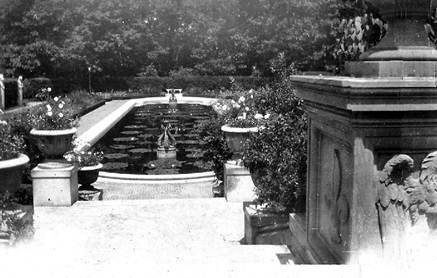 A lily pool to the south of the mansion has also been restored (though not the lilies), although the sunken gardens formerly surrounding the lily pool are now gone. 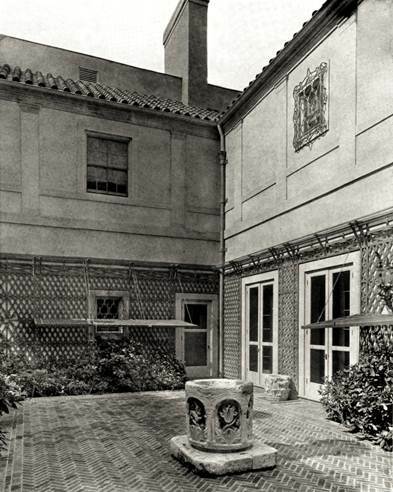 Charles Platt often worked in collaboration with Frederick Law Olmsted’s sons, John and Frederick, Jr., who continued their father’s design business. 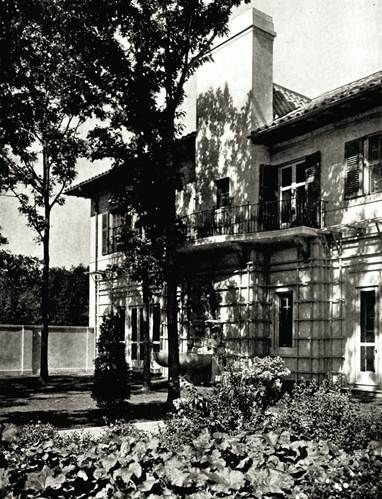 Following Villa Turicum, Platt created master plans for Phillips Academy in Andover, MA (1922-1930), and the University of IL at Champaign-Urbana (1921-1933). Arthur Miller of the Lake Forest College Library and I recently led a site tour sponsored by the Chicago Botanic Garden. It was great to feel the vision of Charles Platt, and to see the grandeur and scope of his plan for an enormously wealthy couple in the age before taxation. 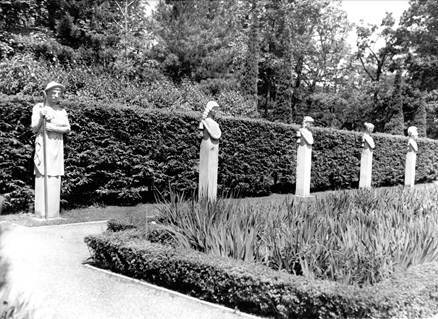 And one could also hear in the background the words attributed to Frank Lloyd Wright, who grumbled that Platt “was a very dangerous man — he did the wrong thing so well.” Both Villa Turicum and Walden are important sites to preserve, part of our unique American landscape architecture. East elevation - facing Lake Michigan. 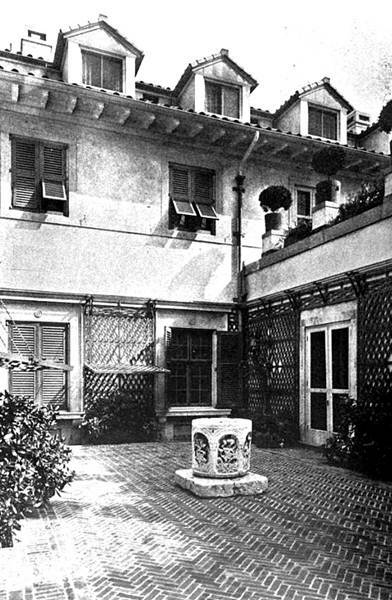 The loggia & terrace, with Janet Scudder’s 1910 Shell Girl fountain. The first in a series of terraces and water elements to the lake. 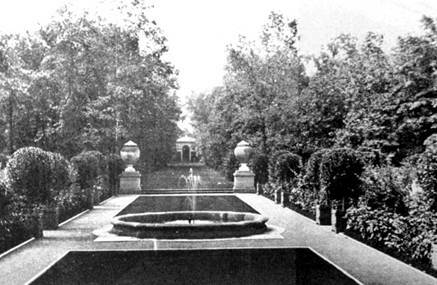 This fountain features twin dolphins; with the southeast (library) corner of the house in the background. 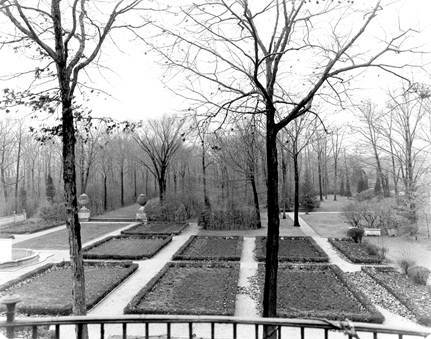 View from the first terrace toward the beach and Lake Michigan. 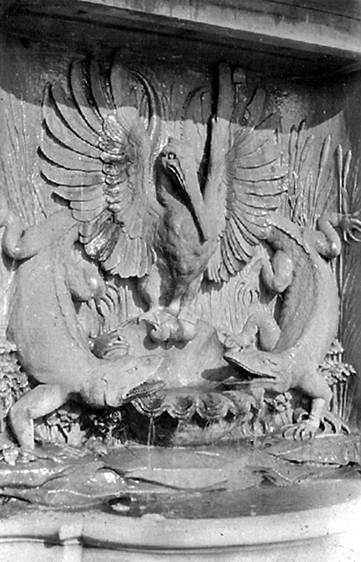 A reverse view from the succeeding terrace and the beginning of the water cascade; this fountain with a pelican and twin alligators. Detail of the pelican and alligators. 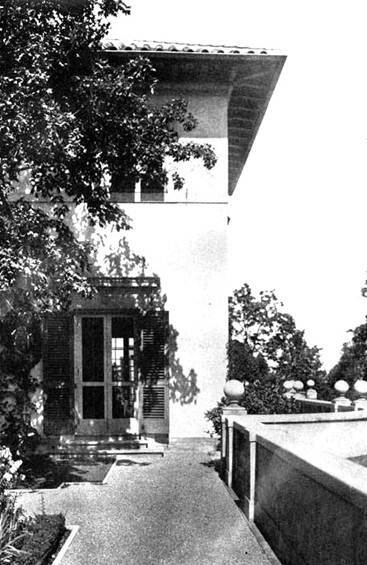 Detail of the southeast (library) corner of the house. Detail of the south front. The vista south of the house, with the Tea House in the distance. 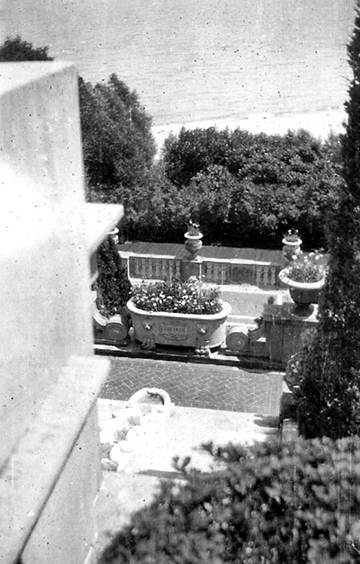 View of the south garden parterres from the second floor of Villa Turicum. The lily pool garden in full bloom. Herms in the lily pool garden. 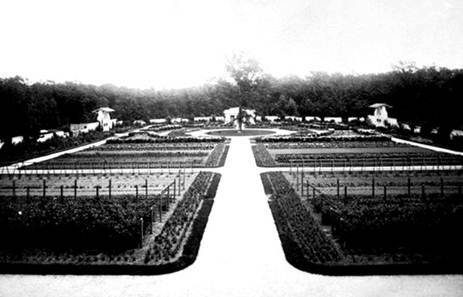 The cut-flower & vegetable gardens. 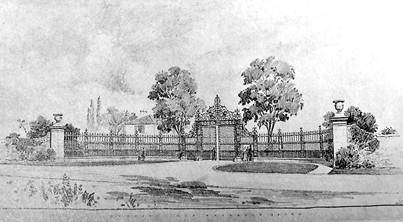 A rendering dated April 28, 1918, by Schell Lewis, of proposed wrought iron entrance gates for Villa Turicum. 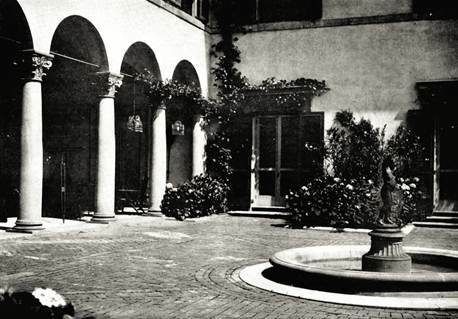 CHICAGO — Mrs. Edith Rockefeller McCormick is the reincarnation of the first wife of Tutank Hamen, according to the "Chicago Herald's" report of a fashionable dinner, where the former wife of Mr. Harold F. McCormick made the revelation. Mrs. McCormick's experiences as a wife of Tutank Hamen were hardly less interesting than her experiences in her second incarnation. Born the daughter of John D. Rockefeller, the richest man in the world, she soon became the social queen of Chicago. During the past eight years, Mrs. McCormick has lived most of her time in Zurich, Switzerland, where she studied psychoanalysis.